For over 6 years now, Love Moi Makeup has been helping women to look amazing and feel their best with bespoke, award winning and considered makeup artistry. Chief Makeup Artist and founder Emily has worked with thousands of women, and feels the key element to creating the perfect makeup look is a combination of skill, product knowledge and most importantly, the ability to listen to what each woman wants - whether that is a soft, barely there natural makeup, full glam, or anything in between. Emily learnt to hone her skills working for some of the UK's leading cosmetic brands, and has been obsessed with makeup ever since! With a fun, friendly and "real" approach to makeup and an unrivalled product knowledge, she strives to make every woman look her most beautiful best, whatever her requirements, ideas, age or skintone. With a specialism in bridal makeup services, Love Moi Makeup is based in Norfolk, UK but covers all areas of the UK and overseas on request. Working with brides to be allows Emily to frequent some of the UK's most prestigious wedding venues, and she is a recommended supplier for many. 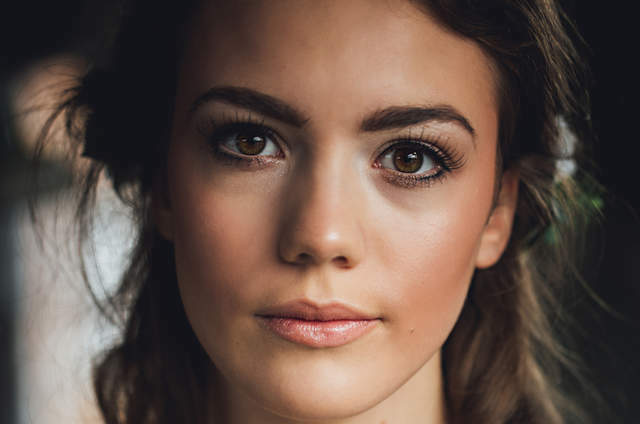 Emily also regularly works on fashion and beauty photoshoots, as well as working with clients for 1-1 makeup lessons, occasion makeups for party and prom and runs makeup class events. Emily is also Beauty Editor for award winning bridal blog So You're Getting Married, covering bridal beauty and keeping readers abreast of beauty and makeup news. A non refundable payment of £50 is required to secure your wedding date - this is taken upon booking. A booking contract is also required to be signed to retain your booking. Demand is high, and peak dates often book 2 - 2.5 years in advance so do be timely with your enquiry to avoid disappointment. Best UK Bridal Makeup Artists! Look picture perfect on your big day by booking in with one of the best makeup artists in the UK!